Ticks are small external parasites that live by feeding on the blood of cats, dogs, and other mammals. They’re found in long grass where they bite to attach themselves to feed. And they can carry a range of infectious diseases. The tick itself has eight legs and is closely related to the spider. They’re found worldwide and can adapt to many climates. A female tick can lay up to 3,000 eggs, and they only breed while they’re feeding. As soon as the tick is latched on it starts to drink blood. At the same time digestive fluids from the tick enter the host’s bloodstream carrying a number of infectious diseases. Ticks will dry out and die quickly in an environment with low humidity. Moist fur will allow the ticks to survive for two to three days. Longer still if they’ve recently fed. The most common illnesses caused by biting ticks are Lyme Disease, ehrlichiosis, anaplasmosis, and babesiosis. 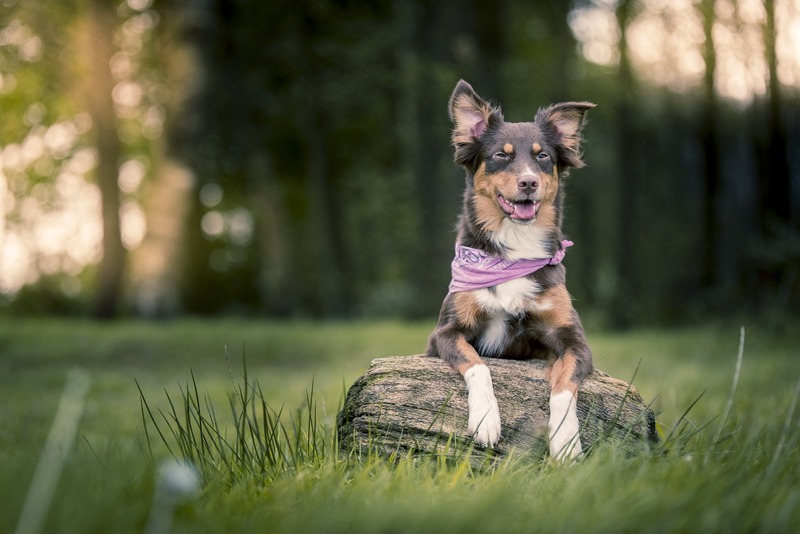 Diseases can spread within six hours after a bite occurs so the ticks need to be removed as swiftly as possible. Cats are rarely affected probably due to persistent grooming. Dogs, when bitten by this deer or black-legged tick will experience lameness, arthritis, joint swelling, and fever. In extreme cases, it can result in fatal kidney failure. This is known as protein-losing nephropathy and needs to be dealt with immediately. 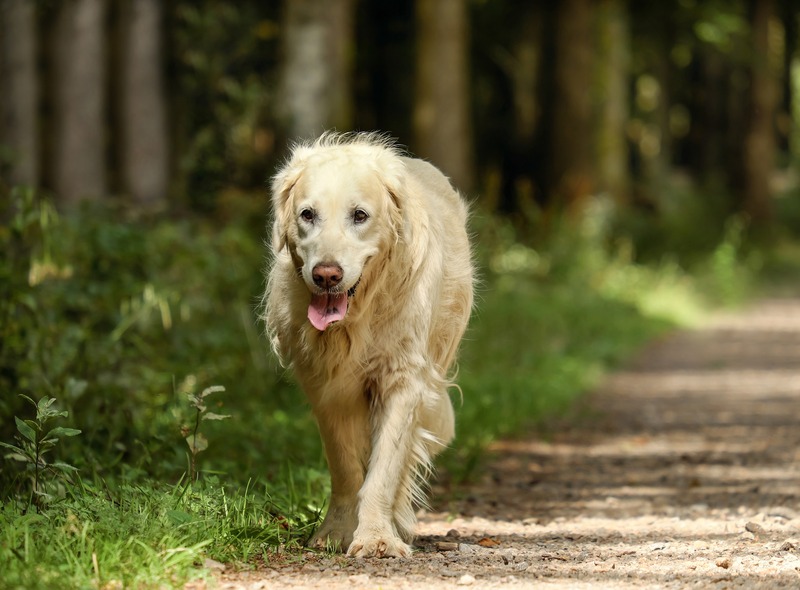 If your dog has full-blown Lyme Disease it might not be treatable at this stage. You may need the help of a home visit end-of-life care vet. You’ll be able to get all the advice and support you need from trained professionals. And the right medications and treatment to ensure any unnecessary suffering. This disease transmitted by the brown dog tick passes an organism into the blood when it bites. The three stages – acute which leads to fever and bone marrow suppression. The subclinical phase where your dog remains infected. And the chronic phase which induces bacterial infection, bleeding, and possible kidney disease that can be fatal. There are treatment options which include doxycycline, tetracycline, and minocycline. These have to be given for at least four weeks after confirmation of any antibody tests. There aren’t any vaccines available to prevent this disease, so year-round tick repellents, regular checks, and proper tick removal are essential. This diseased state is caused by a bite from the black-legged tick. There’s an incubation period of about two weeks, and symptoms may not be diagnosed for many months. The red blood cells become infected and result in immune deficiencies. This can lead to jaundice and anemia. Treatments include anti-infective agents that can be administered intravenously, or by pentamidine isethionate – a drug developed to treat pneumonia. As this infection is quite difficult to combat, a combination of drugs may be used. Anaplasmosis, also from the black-legged tick, may cause your dog to exhibit signs of high fever, lethargy, vomiting, and diarrhea. If your vet suspects this type of infection, blood and urine tests will be carried out, and antibiotics will be administered. Symptoms should resolve within a few days, but in severe cases, your pet may need alternative medication or hospitalization. ● A tick in your house indicates it’s been bought inside by your pet. Do a thorough fur inspection to eliminate any fears. ● A small bump on your pet’s head can be a tell-tale sign of a tick. Part the fur with a hairdryer to get a better look. ● Head shaking can be another symptom. Use the torch to look inside the ears as ticks enjoy warm, damp places such as ear canals. ● Biting a tick site can indicate a tick embedded in the skin. Look for scabs if your pet is chewing and nipping in a particular area. ● Fever, loss of appetite, and muscle weakness can all be signs of illness following a tick bite. Vomiting, coughing, and breathing difficulties should all be taken very seriously. If you’re at all concerned you must visit your vet. In order to avoid any infection entering your bloodstream through a cut or scrape you’ll need to wear the protective gloves. Try and keep your pet calm – you may need another pair of hands to hold them still. 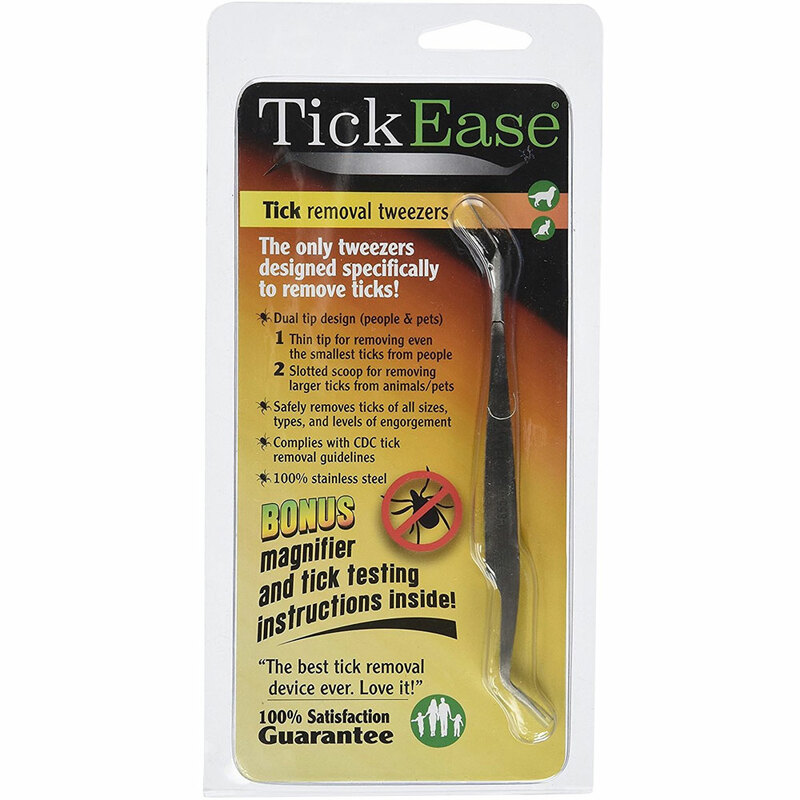 With the tweezers, grasp the tick as close as you can to the skin of your pet without pinching. Don’t twist the tick as this may leave the mouthparts behind. Use a steady, straight motion to pull the tick out. Inspect the tick to make sure the head and mouth are still attached. Then you can kill it by putting it into the container of rubbing alcohol. You may wish to keep it as evidence to show your vet if your pet becomes ill. Follow up by disinfecting the bite area with a pet antiseptic spray or wipe. Keep an eye on the site for a few days to make sure it doesn’t become swollen or infected. Wash your hands thoroughly and disinfect or discard all the tools you’ve used. When the mouthparts of the tick get left in the skin the potential for disease transmission is low. Your pets’ body will eventually dissolve the foreign body. Don’t dig around trying to remove the remains as this can increase the risk of infection. Apply an antibiotic ointment and keep an eye on the area for a rash or other form of irritation. If you become worried, make an appointment with your vet. ● Tick shampoos made from Palo Santo essential oil and organic fragranced shampoos can be massaged into fur and left for about 20 minutes before rinsing. This will kill any existing ticks and discourage others. ● You can carefully spray a citrus repellent behind your dog’s ears and around his head and tail. A simple mix of lemon pieces covered with boiling water and left overnight to cool will give great results. ● Fine powders such as Diatomaceous Earth can be sprinkled onto fur to get into the body of the tick, causing them to die from dehydration. 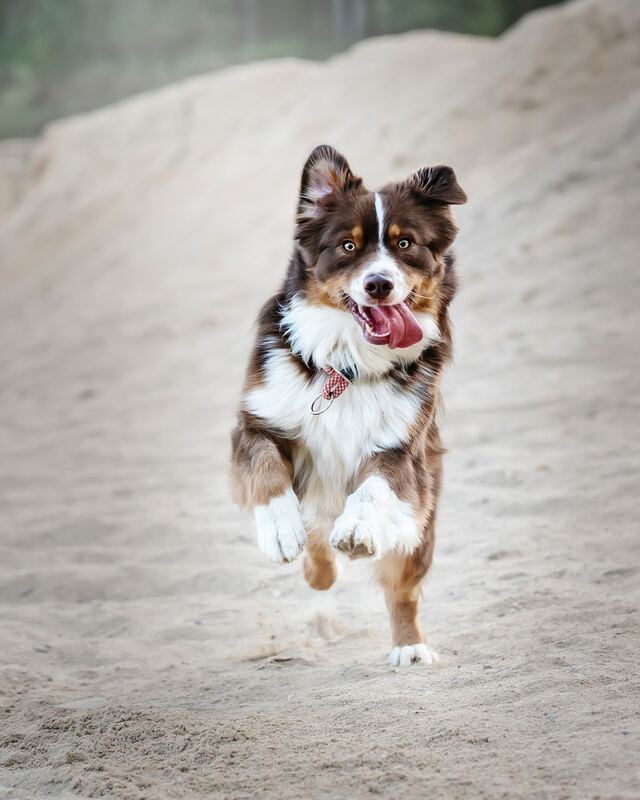 You need to be careful to avoid contact with your dogs eyes, nose, and mouth. Remember to keep your home environment a tick-free zone by keeping your grass cut to below ankle height. Make sure any rubbish bags are tied securely to prevent rodents that carry ticks coming onto your property. Try to avoid long grasses where ticks are common when you go walking with your dog. Stay on the paths and keep your dog with you. And always do a tick check when you get home. Lisbet is the Managing Director at Cloud 9 Vets. Cloud 9 Vets focuses exclusively on end of life care, making sure your pets are enjoying life to their full potential. Their quality of life consultations can give great comfort both to your pet and to you and your family. If your pet is at the very end of its life, they work with dignity and respect to ensure that any goodbye is done under your conditions in your own home at a convenient for you time.